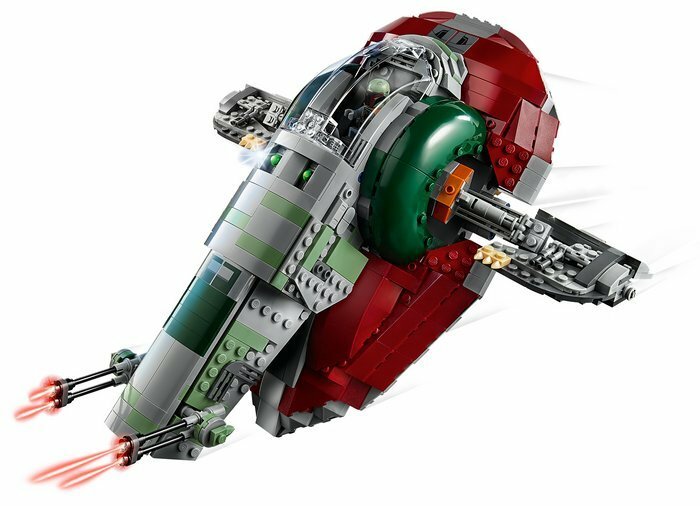 Celebrate the 20th anniversary of LEGO® Star Wars™ playsets with this detailed reinterpretation of Boba Fett’s classic Slave I. 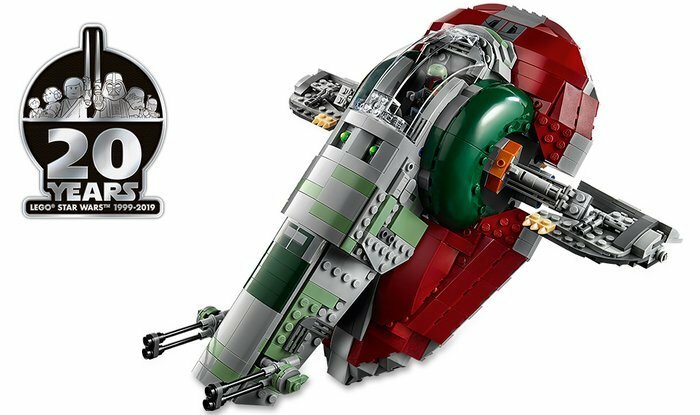 This iconic 75243 LEGO Star Wars starship is the most detailed version to date with features such as a self-leveling cockpit seat and side wings, a carry handle for easy transport and trigger-fired spring-loaded shooters. 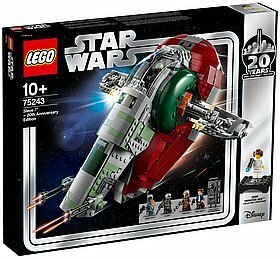 This amazing LEGO Star Wars collectible construction toy also includes a closing rear hatch to store the Han Solo in Carbonite element and 4 LEGO Star Wars minifigures, plus a bonus Princess Leia minifigure and display stand with 20th anniversary logo to mark this momentous milestone in the history of LEGO Star Wars sets. 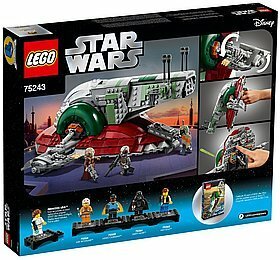 Includes 4 LEGO® Star Wars™ minifigures: Boba Fett, Han Solo, Zuckuss and 4-LOM, plus a bonus 20th anniversary Princess Leia minifigure with display stand. 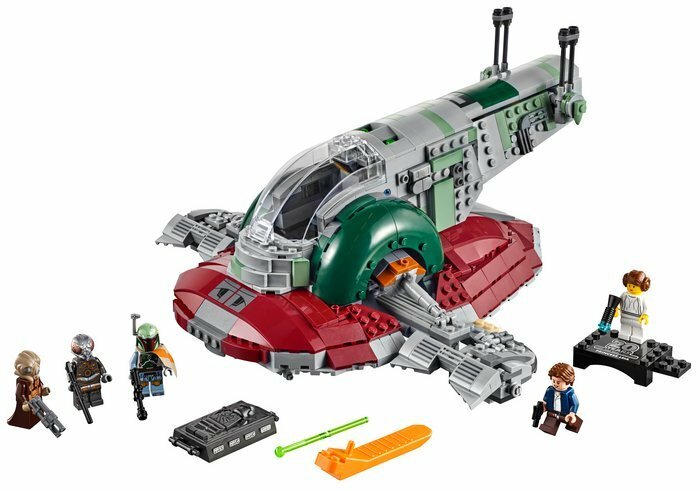 Slave I LEGO® Star Wars™ set features a detachable cockpit canopy with space for a minifigure inside, a self-leveling cockpit seat and side wings, a carry handle, separate triggers for the 2 spring-loaded shooters, rotating guns and a closing rear hatch to store the Han Solo in Carbonite element. Weapons include 3 blasters, Han Solo's blaster pistol and Princess Leia’s original blaster pistol for creative play. 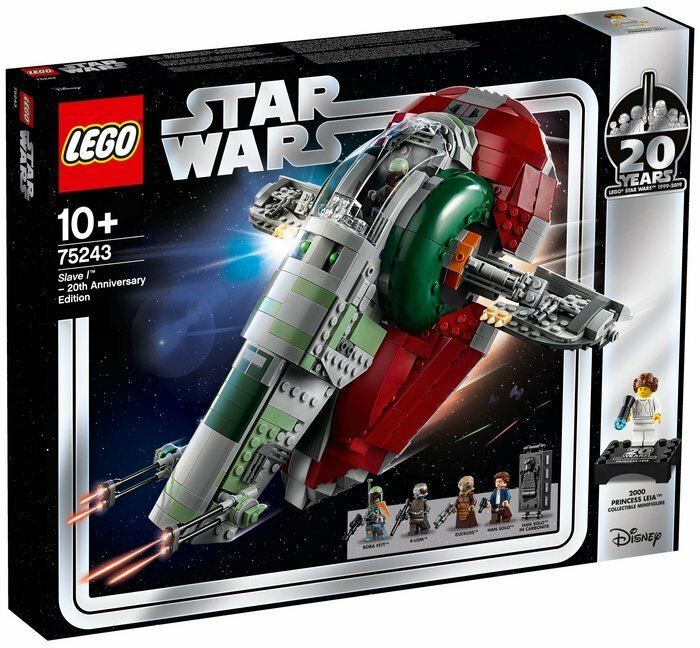 Princess Leia minifigure is a faithful representation of the original version from 2000 and includes a 20th anniversary logo. New-for-April-2019 details include a new molded head for Zuckuss and left/right angled stone 3x3 elements. 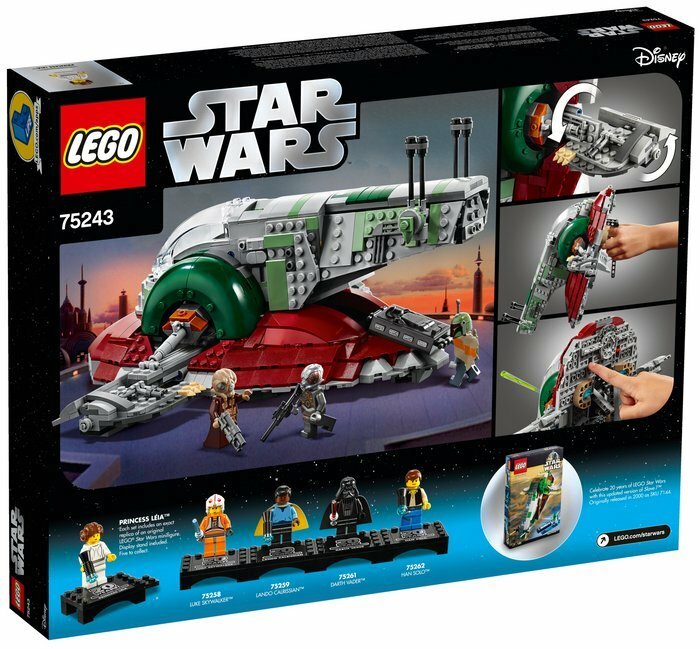 This building toy makes a great LEGO® Star Wars™ gift for builders aged 9 and above. 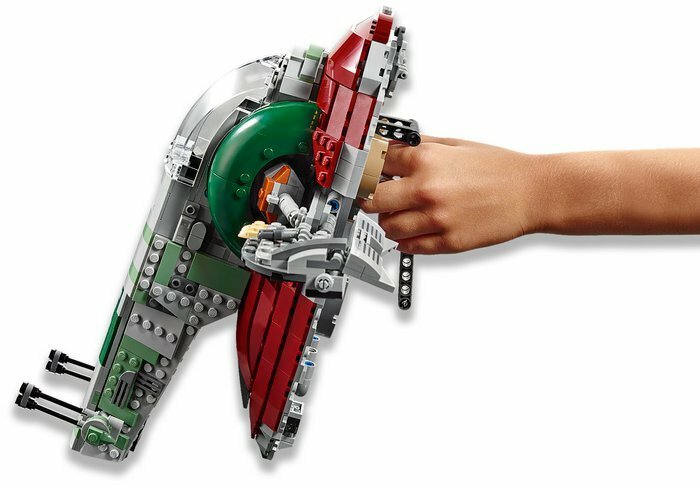 Slave I construction toy measures over 5” (13cm) high, 11” (29cm) long and 12” (31cm) wide.